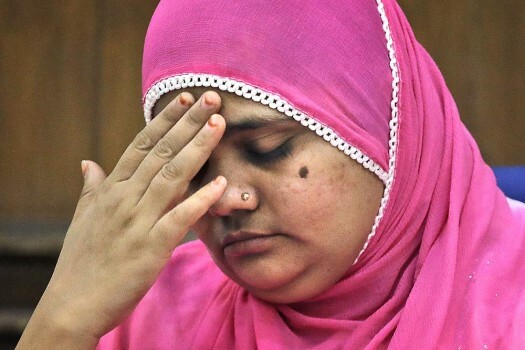 Bilkis Bano, one of the survivors of the Gujarat riot victims, gestures during a press conference in Ahmadabad. 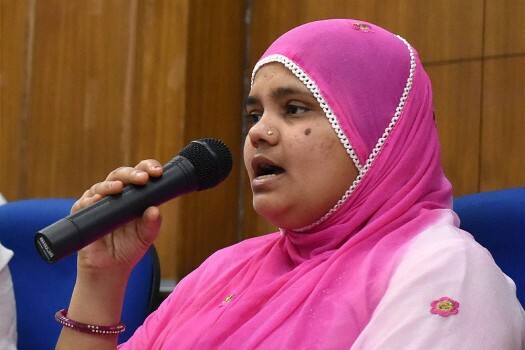 Gujarat riots' victim Bilkis Bano addressing a press conference in New Delhi. 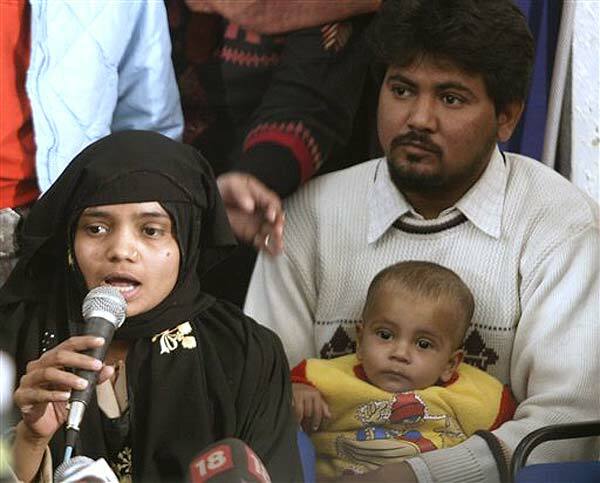 Bilkis Bano with husband and daughter during a press conference at Press Club in New Delhi. 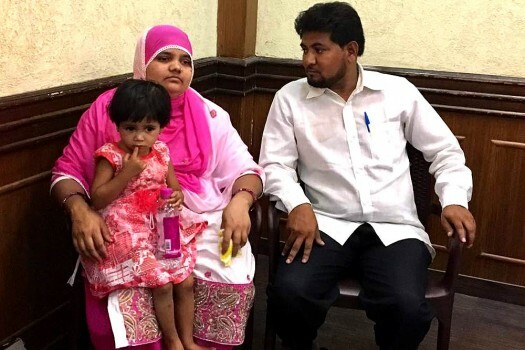 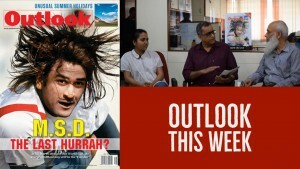 The court directed the Gujarat government to appraise it about the departmental action taken against those cops found guilty of dereliction of duty.